Commencement production of "Hamlet" with an alumni cast. 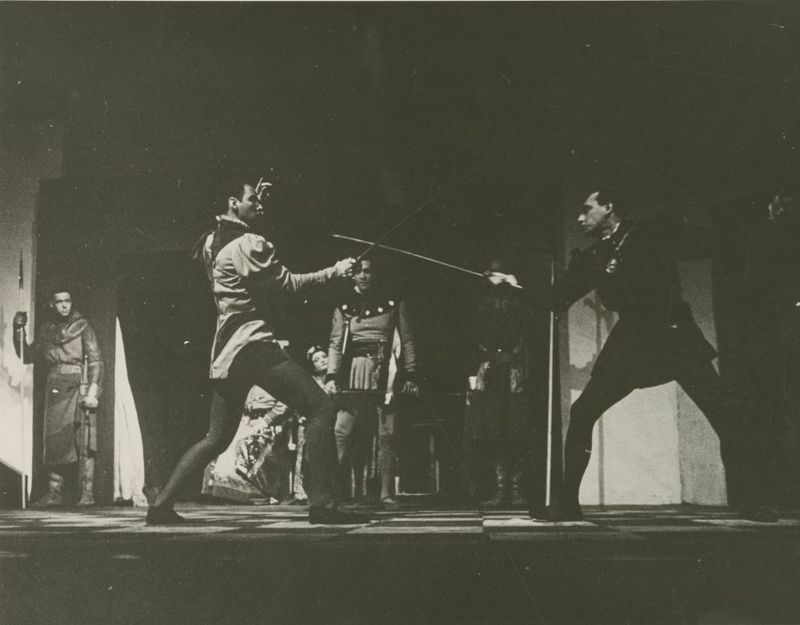 Ross L. McLean '39 played Hamlet. This image is in the 1953 Bugle.